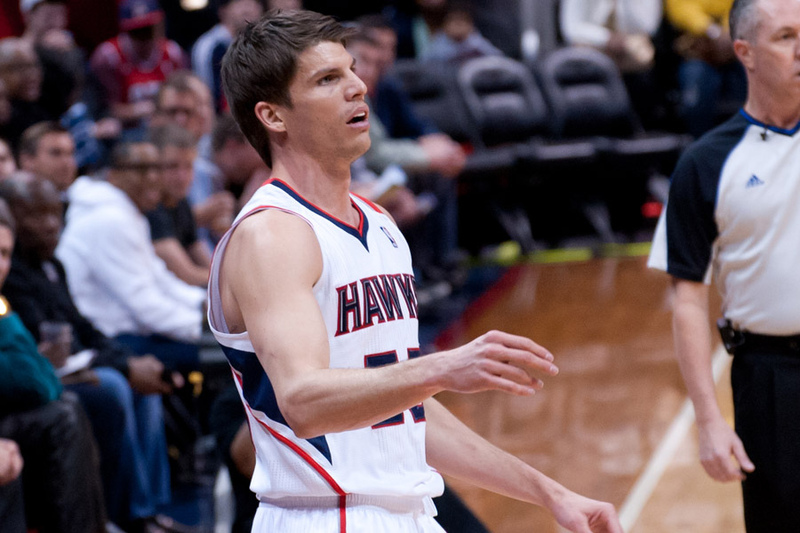 Kyle Korver has been terrific out of the gates, making nearly 52 percent of his threes on over five attempts per game. Fantasy basketball-wise, the Hawks’ starting small forward (or shooting guard, depending on the night) is ranked in the top 50 for both eight and nine-category leagues, according to Basketball Monster. Korver went off last night against the Clippers, shooting 6-for-9 on threes to help the Eastern Conference nab a rare win over a team out West, but just how many players have made six or more threes in a game this season? I took a look, via Basketball-Reference. At first, I wanted to list every time an active player made six threes in their career, but that totaled to about 800. That, and Basketball-Reference uses the term “active” a little loosely since Tracy McGrady, among others, is still listed as that. Unsurprisingly, a team with a player who’s made six threes has won just under two-thirds of those games. More interesting is how often those threes were made on the road. You’d expect some role players off the bench who are listed here to perform better at home. Maybe they do and the three-point outburst is just an outlier. We’ll see if that’s true as the season progresses. Also worth noting, 8.5 percent of total games by those players have involved making over six threes. Should that frequency remain the same, someone on that list will make six threes on Friday night at the latest. Let’s see who that is, or if another player will join the club exclusive to only…25 players. That’s kind of a big club through just five weeks and it’s obvious what the password is to get in, but whatever. It’s great to witness three-point barrages and there’s still four months left for them to happen.